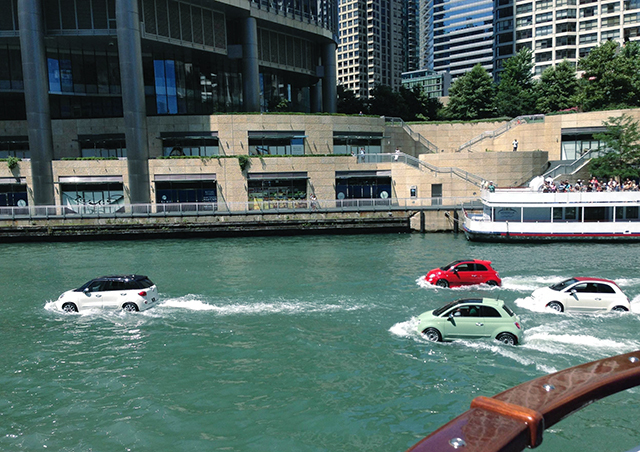 Onlookers along the Chicago River couldn't believe their eyes on Sunday afternoon when a fleet of little red, cream, and mint colored cars appeared to be driving on the river! 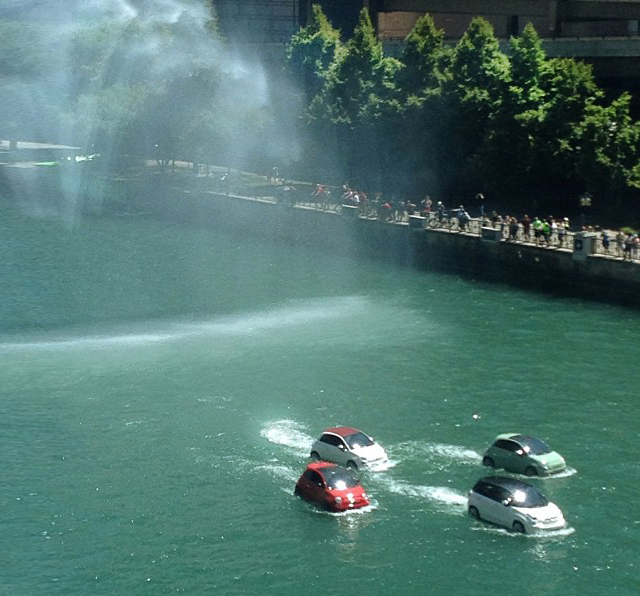 At a closer glance, it was clear that the playful crew of floating cars were actually a boat version of Fiat's new collection of 2014 models, which are set to hit the US market later this year. Designed to promote Fiat’s growing operations in North America, the water-based vehicles feature 500L, 500 Cabrio- and 500 Abarth-inspired shells built on top of high-powered personal watercrafts. The car boats were previously used to entertain thousands of surf fans during the 2013 Vans U.S. Open of Surfing competition in Huntington Beach, California earlier this year. 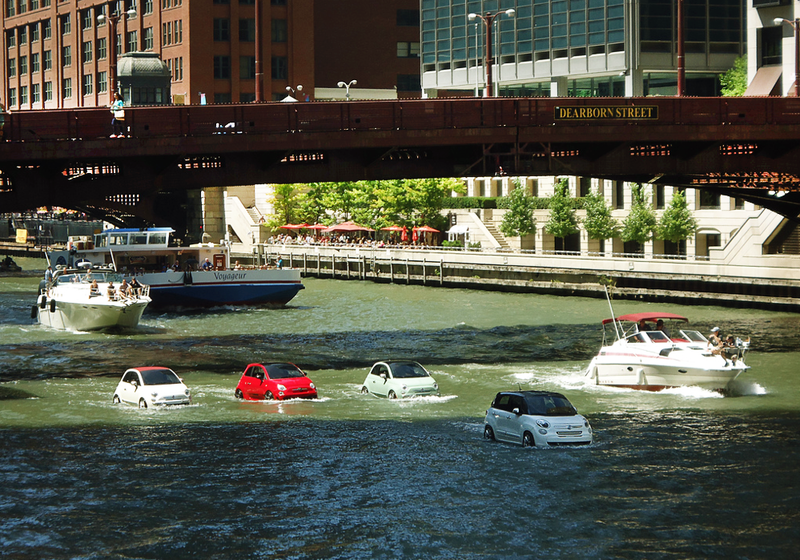 In this case, Fiat's Chicago River stunt appeared to be the making of one of Fiat's new commercials, most likely a continued series of this commercial they recently shot in the Amalfi Coast and New York City. Fiat went to great lengths to film the first commercial. The production team submerged six vehicles in water during the shoot and used a crane to conduct the 70 foot drop of Fiat's yellow Giallo Sport. Once through the river, the car boats made their way out to Lake Michigan, where they swerved near docked boats soaking in some well deserved honks from the boats and cheers from gathering crowds of people on the shoreline.